Armand De Brignac Rose is available as this 1.5 litre magnum. Well known as being one of the greatest blended pink champagnes ever made. 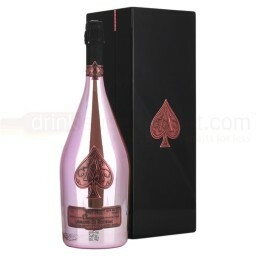 It comes in a beautiful pink and cold ace of spades logo magnum bottle.